Are You Overpaying For Carnival Supplies?! Hint: Unfortunately, you must likely are! 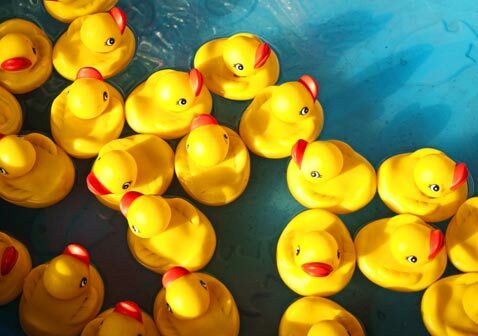 Keep reading to discover why you're almost certainly overpaying for carnival prizes, and how you can start saving money for your school's, church's, or organization's next carnival event! Sometimes people assume that big online retailers always have the lowest prices, but we're here to show you that this isn't the case for carnival supplies! Watch the short 2 Minute Video Below and see what we found when we comparison shopped! It's not your fault if you've been accidentally overpaying for carnival supplies! You're doing the best you can to save time and money, and we've all accidentally overspent in a rush to simply get it done! Additionally, it's not your fault because we all believe that massive, popular online stores with free & fast delivery are the best deal available. Sadly, this isn't the case. See comparison shopping below for the details! We're comparing apples to apples to see what happens. 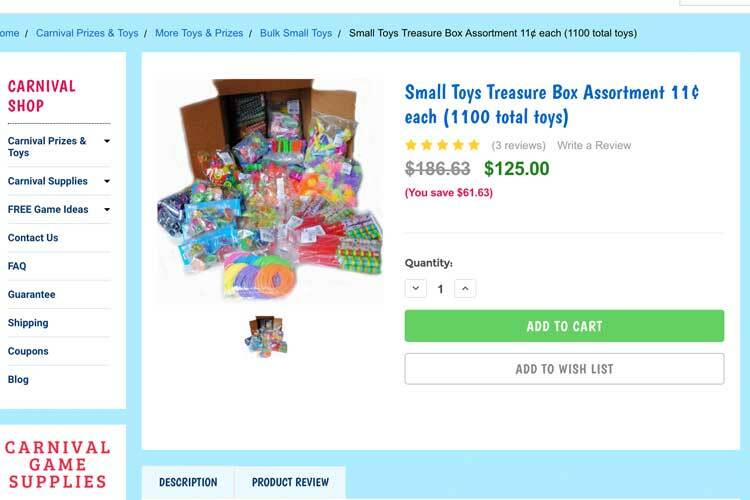 One example product from Carnival Savers is a top seller & customer favorite with 1,100 toys for $125 - with free shipping! (Remember that we have FREE shipping for orders $100 or more!) This popular set has 17 different types of prizes for only 10 cents each. So Maybe a Bulk Set Would Do Better? Now let's look at a well-known fast & free shipping website. To compare, we're looking for the SAME amount of toys (1,100) for the lowest price possible. Remember, we are comparing apples to apples, after all! The lowest price we could find is a set (not from Carnival Savers) of 1,076 toys for $222.15 - and we're still missing toys! So, this carnival toy set costs almost $100 more for a lower quality set from a popular online retailer. Let's See If We Find A Better Deal? Well, that was the best deal from a brand that is not Carnival Savers. So let's now try searching for bulk online prize sets! 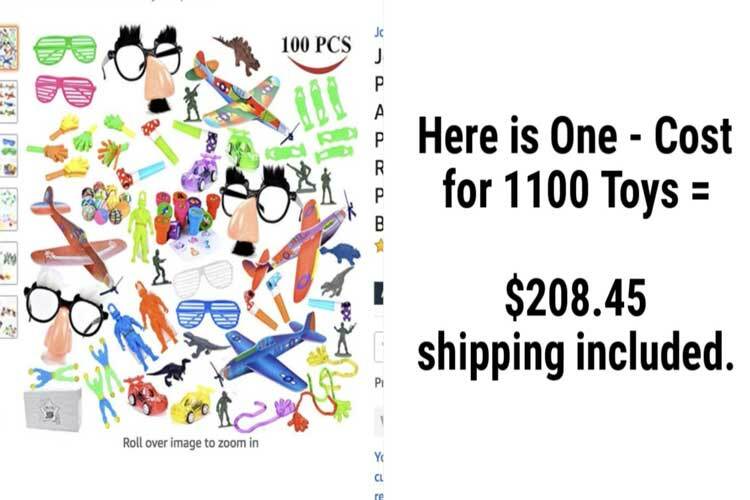 The best deal we found from the same popular online retailer is a bulk toy set that has 1,100 toys for $197.89 plus free shipping. Unfortunately, this still costs more than our carnival prize sets - and remember that we still have free shipping! But... this set only has 9 different types of prizes. 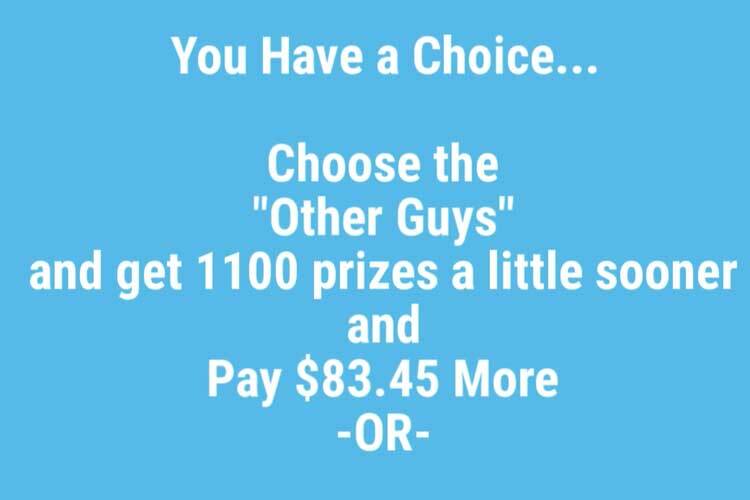 Compare this to our 17 different types of prizes! Finally, We Found A Winner! ...Or Not? After a long time of searching, we finally found a bulk prize set with 1,100 toys - for about the same cost. But, several reviewers were unhappy with the quality of this product. Reviewers said they received completely different toys than the ones listed, and even posted of dollar-store toys that appeared to be in a used condition! Yikes, the reviews are terrible - we certainly wouldn't risk buying this carnival prize set! Look What Else You can Have from Carnival Savers for the Same Price! So, if you have the budget, why not get these extra items for the same cost as the other guys set? Here's Why Carnival Savers ROCKS! 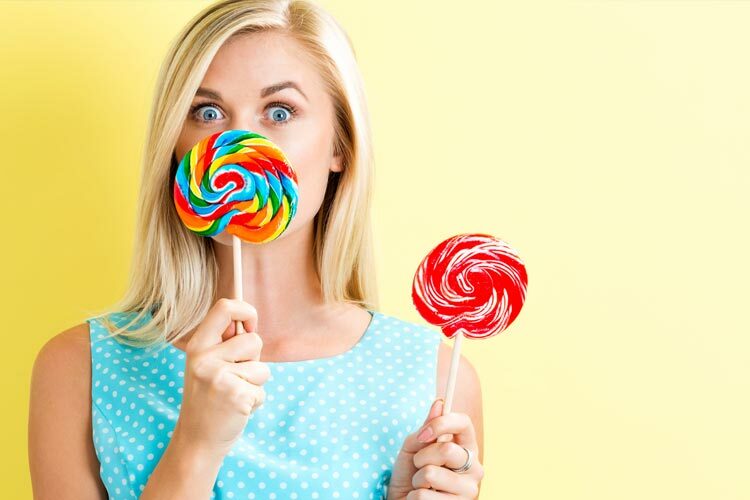 So, we adore carnivals, and love seeing our happy customers run profitable Our reviews and loyal customers speak for themselves: people truly love Carnival Savers because we're family-owned and operated. Plus, our founder is a mother of 3 kids herself, has been on the PTA board, and has been in your shoes while putting together carnivals for local schools and churches! Our team knows ins-and-outs of carnivals: to this day, our team participates in school and church carnivals. So, we adore carnivals, and love seeing our happy customers run profitable, fun carnivals. This is why we love offering you excellent customer service with our full money-back guarantee on all of our prizes, supplies and toys. So, we encourage you to consider buying our high-quality, team-tested bulk carnival prize set with free shipping!